A continuation of the dim mode from BoilingEye. I liked it so fleshed out out sans eyeball. 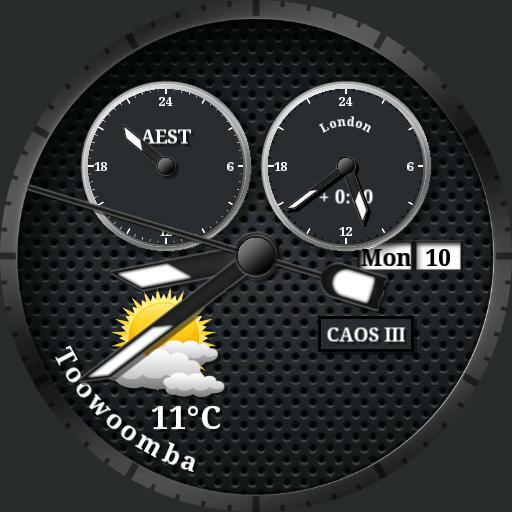 Features day, date, weather, 24hr time and alternate timezones. Seconds is watch battery in dim. Tap right dial to change between your configured timezones. Hands and parts from Watchawear. With thanks to the authors.